We have known for some time that the Chevy Cruze was giving up its manual transmission and adding a new continuously variable transmission. However, there were a number of things we didn’t know. We didn’t know whether the CVT would be applied to the Cruze’s turbo-diesel engine, or what its fuel economy might be. Well, now we do. Timely Stuff: Winter is on the way, so do you know how best to store your vehicle? 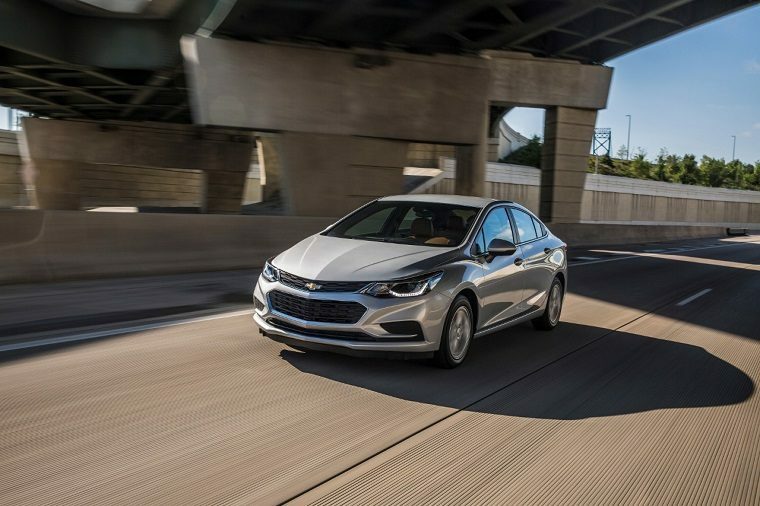 The EPA has released its ratings for the 2019 Chevrolet Cruze. It shows a version of the Cruze sedan equipped with a turbocharged gasoline-powered 1.4-liter four-cylinder and a CVT. For fuel efficiency, the Cruze delivers 30 mpg in the city, 38 mpg on the highway, and 33 mpg combined. Beyond that, the EPA ratings show no diesel model with a CVT, leaving only a nine-speed automatic transmission. However, this model gets a boost of 1 mpg highway over last year, with 31 mpg in the city, 48 mpg on the highway, and 37 mpg combined. Unfortunately, the 52-mpg version of the Cruze diesel is gone with the six-speed manual. The 2019 Cruze also lost a little bit of efficiency for one of its popular powertrains: the 1.4-liter turbocharged engine with the six-speed automatic transmission. The 2018 model made 29 mpg in the city, 40 mpg on the highway, and 33 mpg combined.